As we dive deeper into the winter season, it becomes more and more important to be careful on the roads. This is important for our safety, and the safety of other drivers as well, especially if you have young drivers in your household. Here are some simple steps to keep you and others on the road safe this winter! Clean off your car of ice and snow. Be alert and watchful at all times while driving. This will help you anticipate issues and identify areas of the road to avoid. Update your tires! New tires can make a world of difference in the safety of your vehicle. Keep a safe distance between your car and the one ahead of you. This gives you more stopping distance and minimizes the risk of a collision when the roads are slick. Accelerate slowly. 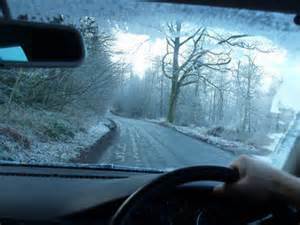 A rushed acceleration can cause your tires to spin out or your car to slide uncontrollably on the ice.